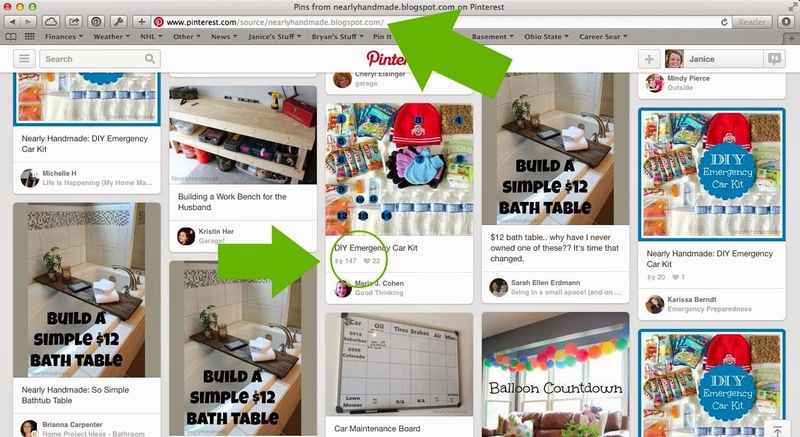 Have you ever wondered if your blog content has been pinned on Pinterest? There's a really easy way to find out! From there, you can see who has pinned what and even how many times it has been repined! It's such a useful tool to see what content has been popular as well as where some of your blog traffic is coming from! So, to all of you who have pinned and repined from Nearly Handmade, thank you for helping my little blog grow! If you'd like to follow me on Pinterest, you can do so here! This post is fantastic. I'll have to check this out!